Liz's Paper Loft: MCT Made In Minutes ~ celebrate! 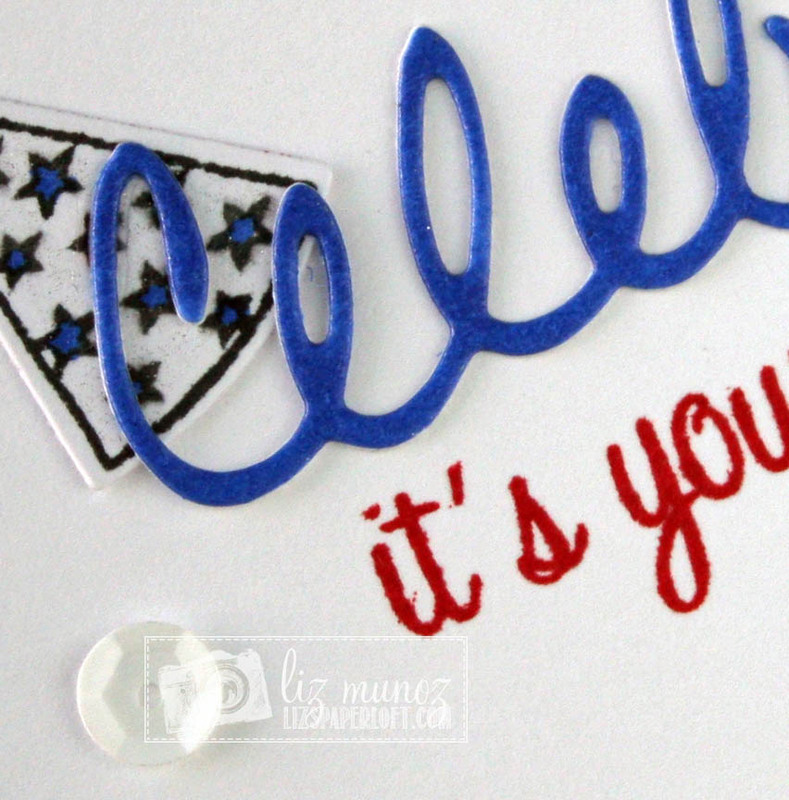 For my card I simply die cut the "celebrate" three times and glued together. By doing this, it gives the die some weight on the card. Have a wonderful rest of your holiday weekend! 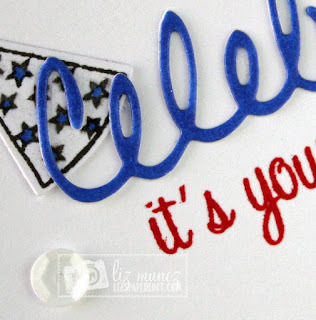 Such a GREAT CAS card Liz!!! LOVE LOVE LOVE it! 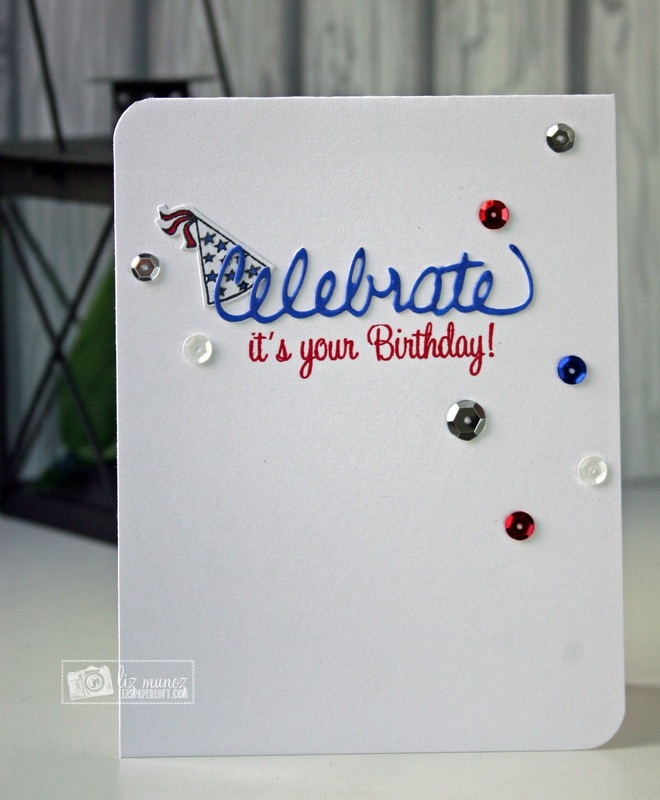 AWWWW what a super cute card....love all of your clever & creative ideas using Miss Emma's goodies...YOU ROCK!! Such a pretty CAS card. The dimension on Celebrate and sequins are perfect. Wonderful job. So simple, yet a bold statement. Liz ~ love this! I am so going to lift this idea ~ so CAS and soooo PERFECT!